Won-Bin Yim has served as concertmaster of the Wichita Symphony Orchestra and Reno Philharmonic, and he was first violinist of the Fairmount String Quartet and violinist of the Argenta Trio. Yim is chair of the String Department and Associate Professor of violin at CCM where he received the Glover Award for the Excellence in Teaching, and during the summer, he teaches at the Green Mountain Chamber Music Festival in Vermont and at the Aria International Summer Academy in Massachusetts. Previously, Yim was a violin faculty member at the Juilliard School pre-college and an assistant violin faculty member at the Juilliard School college division, a violin faculty member at the Aspen Music Festival, CCM/ Spoleto Music Festival in Italy, director and violin faculty member of the PAX Summer String Program, and dean and violin faculty member at the Great Mountain Music Festival and School in Korea. His students have won prizes at national and international competitions, and former students are playing in major symphony orchestras including the New York Metropolitan Opera Orchestra, Indianapolis Symphony Orchestra, Detroit Symphony Orchestra ,Cincinnati Symphony Orchestra, Los Angeles Philharmonic, National Symphony Orchestra, Monte Carlo Philharmonic Orchestra, Washington Opera Orchestra, and Kansas City Symphony Orchestra. In addition, Yim's former students are currently teaching at universities and conservatories throughout the U.S., Canada, Korea, China, Brazil, Mexico and Europe, as well performing as the members of professional chamber music ensembles. 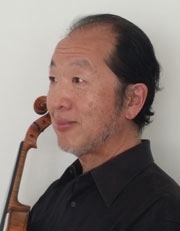 His students have performed solos with the Cincinnati Symphony Orchestra, St. Louis Symphony Orchestra, Indianapolis Symphony Orchestra, Hawaii Symphony Orchestra, KBS Symphony Orchestra of Korea, Dayton Phiharmonic, Aspen Sinfonia, Aspen Concert Orchestra, Des Moine Symphony Orchestra, New Jersey Symphony Orchestra, Juilliard Pre College Orchestra, CCM Philharmonic and CCM Concert Orchestra. Yim's teachers includes Dorothy Delay, Jens Ellerman, Berl Senofsky, Joon Woo Lee and Jae Hyun Lee. He assisted Dorothy Delay at The Juilliard School and at the Aspen Music Festival and School as a faculty member. BM, Peabody Conservatory of Music, Baltimore, MD. MM and DMA, The Juilliard School, New York, NY (MM: Professional Studies).